SACRAMENTO, Calif.- Twenty-five wildlife conservation, education and protection organizations in California, Oregon and Washington today announced the formation of an alliance committed to recovering wolves across the region. The Pacific Wolf Coalition envisions populations of wolves restored across their historic habitats in numbers that will allow them to re-establish their critical role in nature and ensure their long-term survival. The announcement of the Pacific Wolf Coalition coincides with the one-year anniversary of the first wolf, OR-7, in California in nearly 90 years. Wolves are making a comeback in the Pacific West. Here, as elsewhere in the lower 48, wolves were driven to regional extinction decades ago. 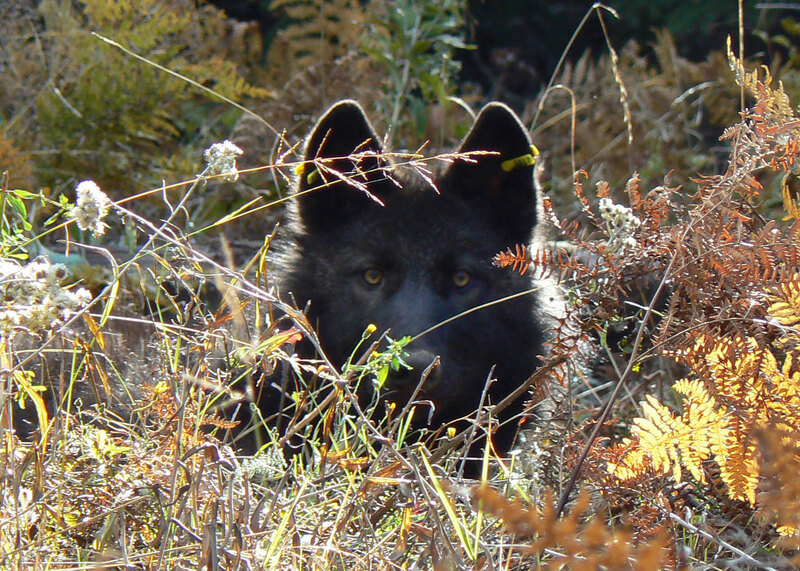 The Pacific Wolf Coalition's mission is to ensure wolf recovery in the West. "The Pacific Wolf Coalition formed to unify efforts to restore wolf populations here in our region and to demonstrate that wolves and people can coexist," said Josh Laughlin with Cascadia Wildlands. "Working together we can give wolves a fighting chance to naturally return to their native lands in the western states." 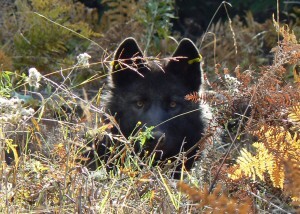 Just one year ago – on Dec. 28, 2011 – a young, male wolf from northeast Oregon's Imnaha Pack loped across the state line into California, where he has continued to make his home, exploring seven northern counties in his search for a mate and territory of his own. "This wolf's journey is our own,” said Amaroq Weiss of the California Wolf Center. "His arrival in California restores a native species to our state, itself a remarkable event. His continued presence for an entire year, roaming landscapes his ancestors once called home, indicates we still have good wolf habitat here. Californians have literally been handed the makings of a conservation success story for our state and for the Pacific West region. We are very much celebrating this anniversary." Over the past 13 years, wolves from Idaho and British Columbia have naturally dispersed into Oregon and Washington, forming these states' first-known wolf packs in decades. Today there are six confirmed and two probable packs in Oregon, and eight confirmed and four probable packs in Washington, with three of those packs residing in the Cascade Mountains. Journey's trek into California links the third state of the Pacific West into an envisioned region-wide wolf recovery success story, and is a source of great hope and inspiration. "The return of wolves to the northern Rockies has been a remarkable success story, and now we have a chance to write an exciting new chapter in the Pacific West,” said Pamela Flick with Defenders of Wildlife. “We look forward to using our decades of experience to forge new partnerships with landowners that will allow people and wolves to coexist." OR-7 is still capturing headlines with his ongoing travels, despite being caught on camera only once while in California. The GPS collar he's wearing tells wildlife agency staff where he has been, and the agency periodically releases that information to the public. "We've made tremendous strides in wolf recovery thanks in large part to our nation's landmark environmental laws. However, recovery remains tenuous," said Rob Klavins with Oregon Wild. "To make sure there are enough wolves to play their irreplaceable role on the Pacific Northwest landscape, they need to retain the basic protections afforded by the Endangered Species Act." The Pacific Wolf Coalition has also come together under less celebratory circumstances. The U.S. Fish and Wildlife Service, the federal agency charged under the federal Endangered Species Act with wolf recovery, is poised to announce a proposal that could end federal protections for wolves in the Pacific West and elsewhere across the country. The Pacific Wolf Coalition supports continued federal protections for wolves here in the western states and in other regions across the country where they haven't recovered. "Residents and visitors alike love the Pacific West for its natural wild beauty and the wildlife that lives here. Restoring native species is crucial to that wild beauty, and wolves are no exception. Protections should remain in place to allow these animals to recover," said Noah Greenwald of the Center for Biological Diversity. As wolves return to the Pacific West states of California, Oregon and Washington, the member organizations of the Pacific Wolf Coalition believe they do so on a vastly different social, political and ecological landscape than other parts of the country. "We have unique opportunities and challenges here in the West," said Joseph Vaile with Klamath-Siskiyou Wildlands Center. "The Pacific Wolf Coalition is working together to raise awareness and increase public understanding about wolves and the important role they play in nature, and ensure that wolves will be conserved in our region over the long term."